On the night before he was to turn forty, Rich Roll experienced a chilling glimpse of his future. Nearly fifty pounds overweight and unable to climb the stairs without stopping, he could see where his current sedentary life was taking him—and he woke up. Plunging into a new routine that prioritized a plant-based lifestyle and daily training, Rich morphed—in a matter of mere months—from out of shape, mid-life couch potato to endurance machine. Finding Ultra recounts Rich’s remarkable journey to the starting line of the elite Ultraman competition, which pits the world’s fittest humans in a 320-mile ordeal of swimming, biking, and running. And following that test, Rich conquered an even greater one: the EPIC5—five Ironman-distance triathlons, each on a different Hawaiian island, all completed in less than a week. In the years since Finding Ultra was published, Rich has become one of the world’s most recognized advocates of plant-based living. In this newly revised and updated edition, he shares the practices, tools, and techniques he uses for optimal performance, longevity, and wellness, including diet and nutrition protocols. Rich reflects on the steps he took to shift his mindset and leverage deep reservoirs of untapped potential to achieve success beyond his wildest imagination, urging each of us to embark on our own journey of self-discovery. RICH ROLL is an ultra-endurance athlete, wellness advocate, and the host of The Rich Roll Podcast, one of the top 100 podcasts in the world with more than 30 million downloads since its launch in 2012. Rich is regularly named to annual lists of the most influential people in the health and fitness world and has been featured on CNN and in the New York Times, Wall Street Journal, Forbes, and Inc. With his wife, Julie Piatt, he is the co-author of The Plantpower Way and The Plantpower Way: Italia. Rich is a graduate of Stanford University and Cornell Law School. "Finding Ultra blends Rich Roll's story of superhuman personal transformation with an amazingly practical guide to plant-based living. It's also an enlightened manifesto for anyone wanting to transform their life." - Dan Buettner, National Geographic Fellow and New York Times bestselling author of the Blue Zones books. 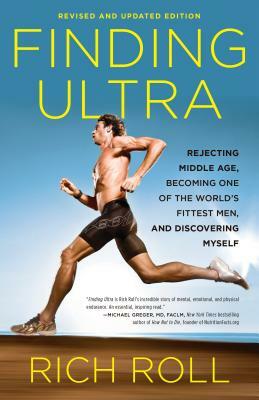 "Rich Roll's Finding Ultra is a testament to the power of the human spirit to overcome any obstacle, break down walls, and redefine what's possible." “An incredibly inspirational book about achieving greatness at any age through self-belief and a positive attitude. Rich Roll is a true champion of life and sport." "Finding Ultra is an inspired first-person account of fast living and even faster swimming, biking and running that will leave you convinced of the power of your own will."